Have you seen that game with the blue hedgehog? This was a question asked to me by one of my gaming friends in the winter of 1991 one morning at school . Of course the game he was talking about was Sonic The Hedgehog and Sega were going all out to advertise that the Sega Mega Drive now came with this game. I was Nintendo through and through so just really blew him off, but as I started to see these advertisements more and more I started to buy into the hype. My friend got a Mega Drive for Christmas of that year and just a few days later I went round to his house to give it a try. I have been a Sonic fan ever since. Sonic The Hedgehog is a character I think that like Mario is a real household name. He is one of these characters that pretty much everyone has heard off. In the early days of Sonic as far as the video games go his story really was not that fleshed out, but he was still such an amazing character to play as. All his adventures on the Sega Mega Drive (and dare I say Master System and Game Gear also) Were a great deal of fun. One of the main things apart from the actual game play that sets Sonic apart from Mario is that Sonic games seemed to come out on a much more regular basis than Mario games did. This may not be the case these days, but it certainly was in the days of the Mega Drive and Super Nintendo. One thing that I feel Sega does better than Nintendo is expand Sonic games universe. I know that these days whenever a new game is announced many people are terrified that new “friends” will be introduced. However for the most part I actually like that Sega like to at least try and give us new characters for Sonic to interact with. I personally love Shadow, Rouge, and Silver and a few others as well. I know there there have been a few really questionable characters introduced, but for the most part they are not as bad as many gamers make out. I also feel that Sega have managed to make Sonics’ universe much more fleshed out. And made the more modern games a much more cinematic experience. Many gamers are of the opinion that Sonic games really struggled with the transition to 3D gaming, but I feel that this is a little unfair. Both Sonic Adventure games were very good fun. After this though is when many people think it started to go downhill. 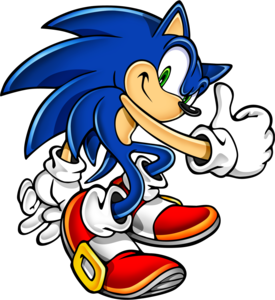 Sonic The Hedgehog that was released in 2006 is seen as the real low point for the series. And I have to agree even my kids who are die hard Sonic fans did not like this game and they pretty much love anything that has Sonics’ face on it. With that being said the last few years have been very good to Sonic. With Sonic Colours and Sonic Generations being excellent returns to form for the blue Hedgehog. I think that the future looks very bright indeed. I just cannot imagine a world where there is a gaming industry that does not have games featuring Sonic The Hedgehog.